See By Chloé Short Dress - Knitted, lightweight sweater, solid color, round collar, sleeveless, stretch, dress. 68% Viscose, 29% Acrylic, 3% Elastane. 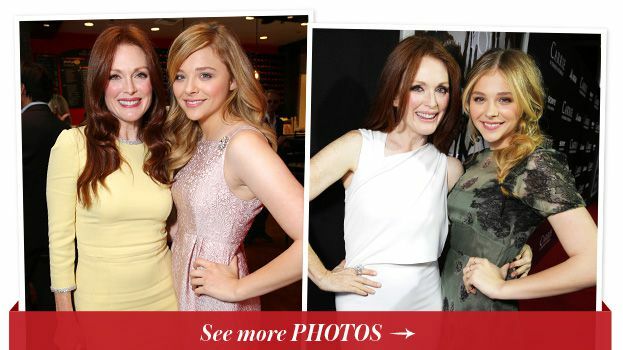 Julianne Moore and Chloe Moretz's film 'Carrie' is out in theaters today, click through the gallery to see their cutest red carpet looks! Emma Stone, Julianne Hough, Kate Mara show us how to wear a little white dress all year round! See their stylish looks here. See fashion icon Pippa Middleton's best looks from leather leggings to prim and proper dresses.